I think what I love most about my friend Rachel Stewart is her dynamic versatility. Most of us can hardly be consistent in one area, but Rachel has built a creative empire, literally with her bare hands. Recently I visited her home and I was blown away by her collection of handmade clutches. 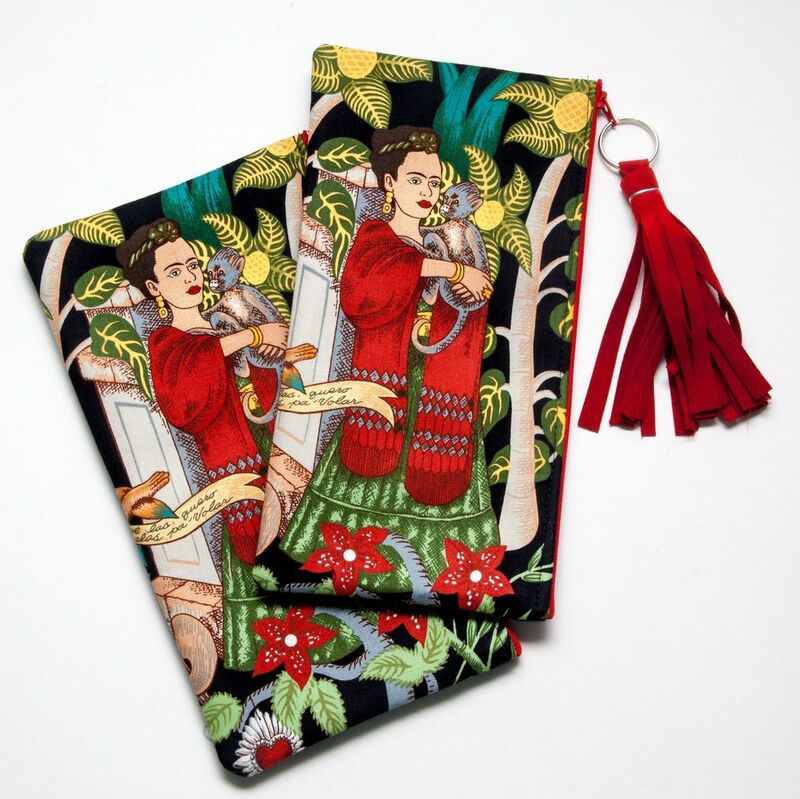 She designs and prints her own fabric, creates her own tassles and adds her signature wood jewelry. 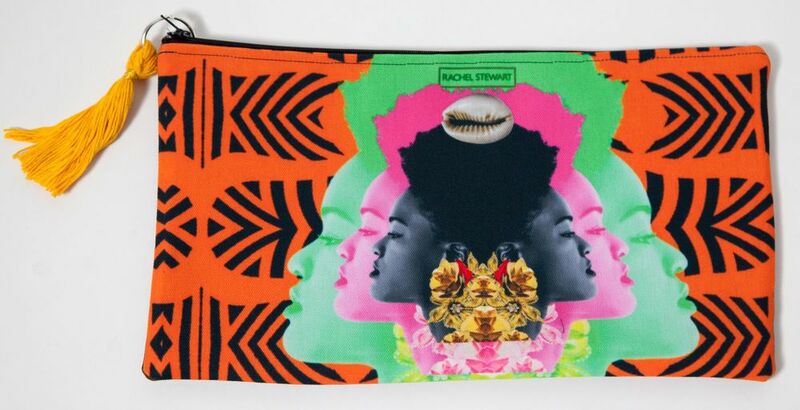 Her Zora clutch (above) is out of stock and I can't wait for her to release them again so I can snag one! Her vibrant prints are inspired by ethnic patterns, collage and powerful female artists like Frida Kahlo, LaBelle and Tina Turner. I so admire how she's able to infuse her aesthetic into her jewelry, handbags AND her art. I'm really excited to be working with Rachel on some custom artwork too. I can't wait to share that project, featuring her large scale painting, in a couple months. 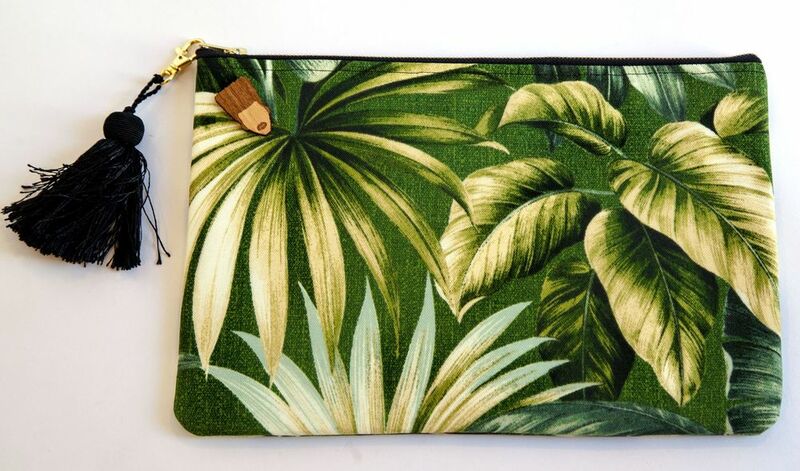 Until then, check out the entire clutch collection HERE.